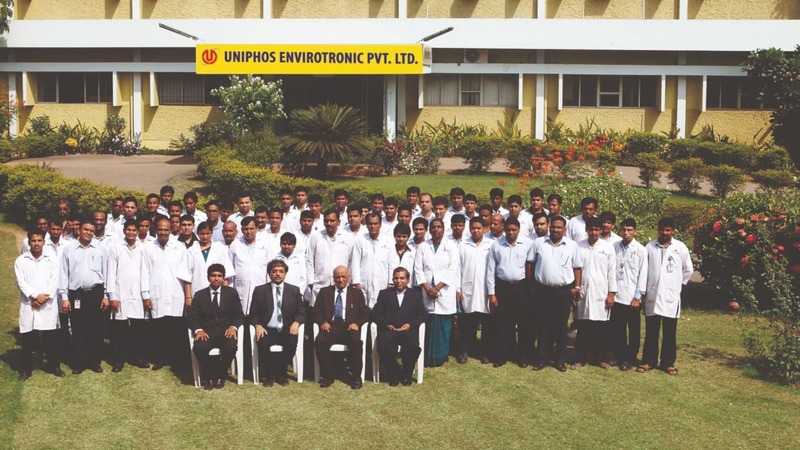 By Uniphos Envirotronic Pvt Ltd.
As Uniphos Envirotronic Pvt. Ltd. (UEPL) celebrates its 25th year of operation in 2018, the evolution of the company and its products is impressive. The first Uniphos tube developed in 1993 was for phosphine to address an emerging need at a metal phosphide laboratory at United Phosphorus Limited (UPL). Encouraged by the initial success, research and development continued until phosphine detector tubes as well as pistons and barrel pumps were perfected in 1994. Today, the application of these detector tubes isn’t just limited to phosphine. UEPL has more than 200 different detector tubes for measurement of hundreds of gases and vapours for ambient air, compressed air and ions in water, along with a variety of air sampling pumps. With this vast array of products, UEPL supports many industries including: shipping, pharmaceutical, fumigation, natural gas, volcanology, and clandestine lab investigations. Shipping containers that are used to transport materials and products globally are typically 20 or 40 feet in length, and depending upon the cargo, may contain a number of toxic gases and vapours. One such vapour is benzene which evolves from leather goods such as belts, wallets and purses. Rather than simply opening the large sealed doors, a tube or a probe is inserted through the container door to pull a sample of the atmosphere in the container. This market is a major user of tubes for compressed gas purity testing. The Uniphos Airtester is an ideal option to test for contaminants such as carbon dioxide, carbon monoxide, oil, water vapour and nitrogen dioxide directly from the pressurised air source. Testing may be conducted directly from the pressurized airline or the compressor. Fumigants commonly used for insect control of stored grain include methyl bromide, phosphine, sulphuryl fluoride and mixtures of carbon tetrachloride and carbon disulphide. The detector tubes have played a vital role in stored grain fumigation to periodically check the level of the gas to determine if the concentration has been high enough for long enough to properly control the insects. They use detector tubes as a simple and economical means to check gas wells and natural gas terminals for the concentrations of water vapour, hydrogen sulphide, carbon dioxide and ethyl mercaptan. The presence of water vapour creates maintenance issues within pipelines, particularly for corrosion. Elevated levels of hydrogen sulphide and carbon dioxide exacerbate the potential for corrosion by reacting with the water to form an acidic liquid oxidizing the metal pipeline, flanges and valves. The ethyl mercaptan is added as an odorant to the gas to make it easier to detect a leak. The principal components of volcanic gases are water vapour, carbon dioxide, sulphur dioxide, hydrogen sulphide, hydrogen chloride (or hydrochloric acid), hydrogen fluoride and oxides of nitrogen to name a few. Detector tubes are the preferred means for preliminary investigations and collecting data in remote locations where it would be challenging to take sophisticated monitoring equipment. Local law enforcement and federal government have used tubes to check for the presence of ammonia, hydrochloric acid, iodine, phosgene and phosphine at suspected clandestine operations. They will enter the property wearing PPE and use the tubes to check for the presence of hazardous gases. These gases are often present as they are used by the criminals to derive (cook) such drugs as methamphetamine, with the street names of meth, crystal or ice. As the only manufacturer to offer two lines of gas detector tubes (KwikDraw and Uniphos), UEPL is looking forward to the next era of gas detection innovation to continue supporting these industries. Please visit our website at www.uniphos-she.com to learn more. Uniphos Envirotronic Pvt Ltd. is an ISO 9001 & ISO 14001 certified company. It is one of the largest manufacturers of Gas Detection Devices in India with a wide range of products, all designed and developed through in-house R & D efforts.